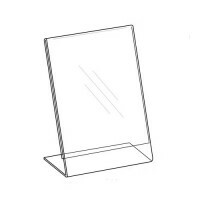 8.5"x11" Bottom-Load Sign Holders / Sign Frames are made from 0.100" clear acrylic. This Sign Holder is designed to hold two standard size sheets of paper, back-to-back, for double side viewing. 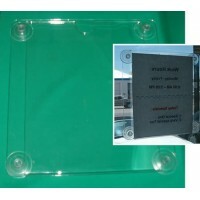 It will provide 100% of viability and will protect your signs from the dust. 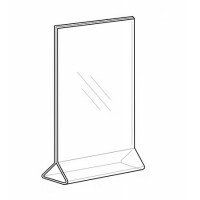 These Sign Holders are the most feasible way of advertising in malls, conferences, hotels and restaurants, almost anywhere you can place your Sign Holder on a table or a counter. These Sign Holders come with frosted edges. For the extra savings we do not polish the edges. 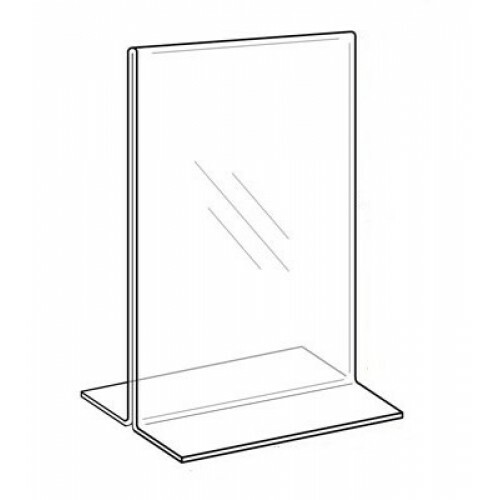 There is not much of a visible difference between them, but if a small aesthetic accent may mean the difference to you, we suggest considering a Polished Edge model which will a little more. Please select a Polished Edge option on the right. 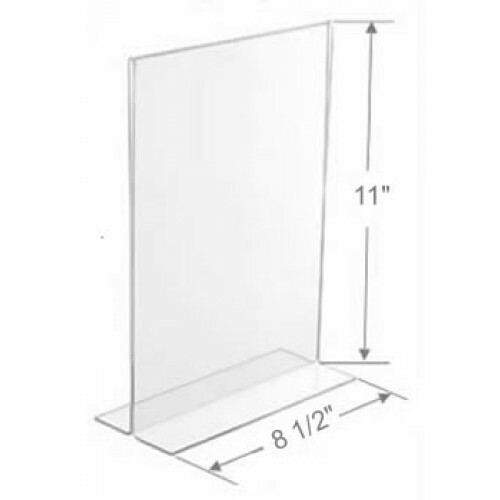 This 11" x 8½" Sign Holder is an excellent solution for permanent or temporary display of signs, spe..
TTEE-811 Sign Holder 8.5"x 11", Easel Style Sign Frame, Vertical, Portrait Orientation 8.5" X 11" Ea..